This past week I was a part of one of the biggest events that I will be a part of during my time here at COD as a youth ministry intern. 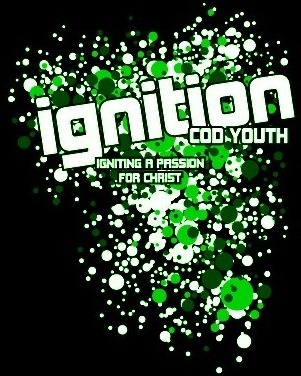 Every summer COD Student Ministries start off the summer with a three night event called Ignition. It started on Wednesday night and ended on Friday night. Each night it starts at 6:45pm and goes to 9:45pm. We had about 130-150 students each night. Many people have seen my tweets and Facebook posts about it and have been asking me to explain what all Ignition is and what we did. I will try to summarize the whole event here and also post some videos so you can see what went down each night. Each night of Ignition is basically a high-energy program that has many elements and always ends with a big activity at the end of the night. Each night elements of fun, games, time of worship, teaching on Jesus, and a big activity at the end. We opened the doors at 6:40ish and as the students came in we had music blasting and a countdown rolling. Up until we opened the doors each night they hung out in the commons outside the gym. Each year they choose a cause to focus on and this year we focused on the persecuted church so each night we had a time where we talked about the persecuted church and prayed for them. Below are some highlights from each night of some awesome things that went down as part of the program. Wednesday-As the countdown ended we kicked off the program with an intro video that student pastor Brett Ayers made. Also, we had a stage game called Fan the Flame. Basically it was an air guitar contest and we had a few students come up and give us their best air guitar solo and the crowd voted on who was the best. After a good time of worship led by our worship band Brett spoke about “Who is Jesus?” We wanted to start Ignition off with an epic activity so we played black light dodgeball at the end of the night. We bought black lights and placed them all over the gym as well as dodge balls we painted neon yellow that glowed extremely well in the black lights. We killed the lights and played some awesome games of black light dodgeball. The students, and leaders, loved it. We played the Tron soundtrack during the games to give it a good atmosphere. Thursday-Thursday night was a special night. It was student led night so a group of core students led the whole program. It was awesome! One of the biggest highlights was a student named Ryan Arnold performed the song Background by Lecrae. He did an awesome job and everyone loved it. To open up the program with a bang a group of students on the worship band opened up the night with performing All Around Me by Flyleaf. Instead of Brett teaching we had a short video with one of our students explaining a story in the Bible where Jesus healed a dying boy. We also had a video testimony from one of our students about how another student reached out and helped her when she was younger in the youth group. We ended the night doing some mattress surfing! We had a fun video to get the game going where one of our mattresses was “lost” and two students had to run out of the gym and back to Brett’s house to get it. We pre-made a video and showed it so it looked like we were watching them really go get it. Friday-Friday night was much more laid back then the first two nights. We had a band from Maryland called Katie Got Guts who preformed at the beginning of the program. Then we had our worship team lead us in a time of worship followed by a message from Brett called “Depend on Jesus.” To end off the night we had two big inflatables in the gym for the students to go crazy on. A lot of work went into this three night event and we crammed a ton of stuff into each nights program. Overall it was a success and the Lord was faithful in bringing it all together. If you want to watch the videos we made and used in Ignition you can see them all here.